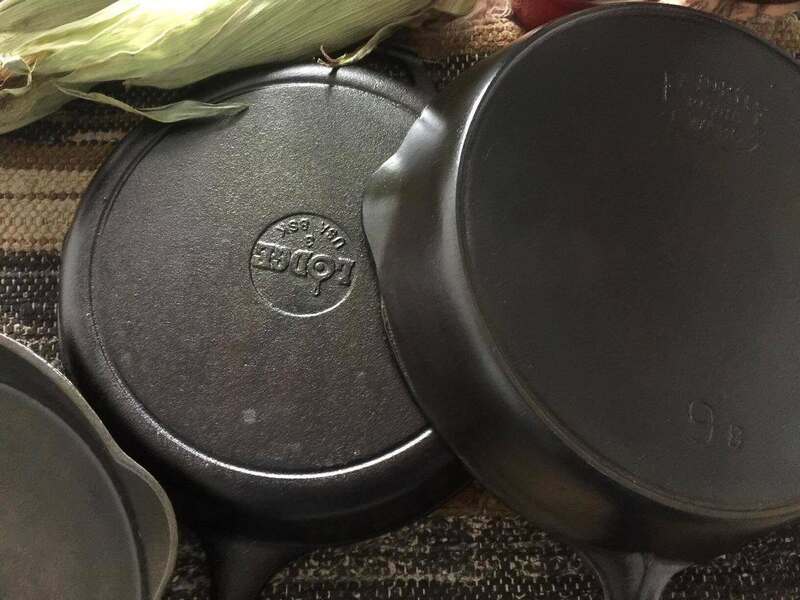 Learn about your vintage cast iron cookware. 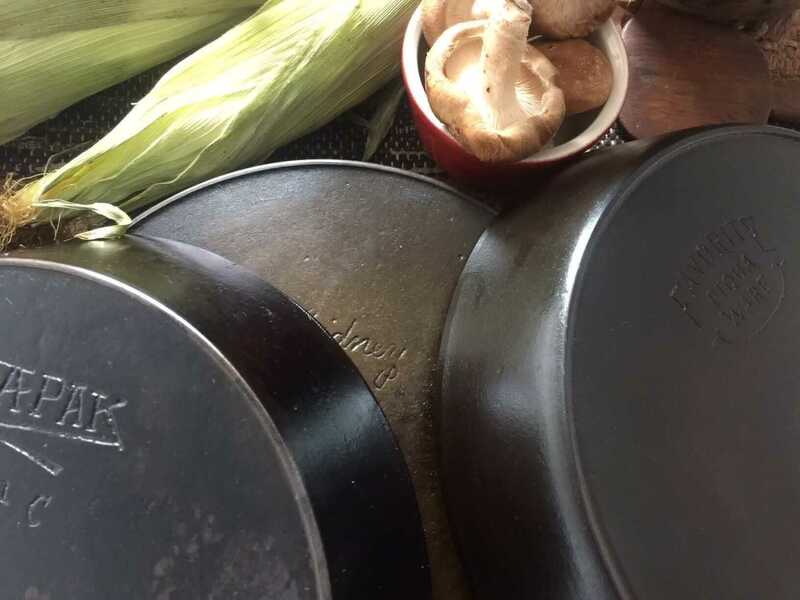 If you want to learn more about vintage cast iron then you've come to the right place, you will also find some tasty recipes to try. You'll find lots of useful information on how to date, and identify antique cast iron. Also the articles cover a lot of interesting historical information about the foundries. The history of these foundries are quite fascinating. Scroll down to find out why people prefer vintage or antique cast iron to new cast iron admittedly I really enjoy my antique cast iron. However if your new to cast iron cooking you may want to find out why people use and prefcast iron cookware. Why use a cast iron skillet? Treasuring the past and more articles are coming soon stay tuned. 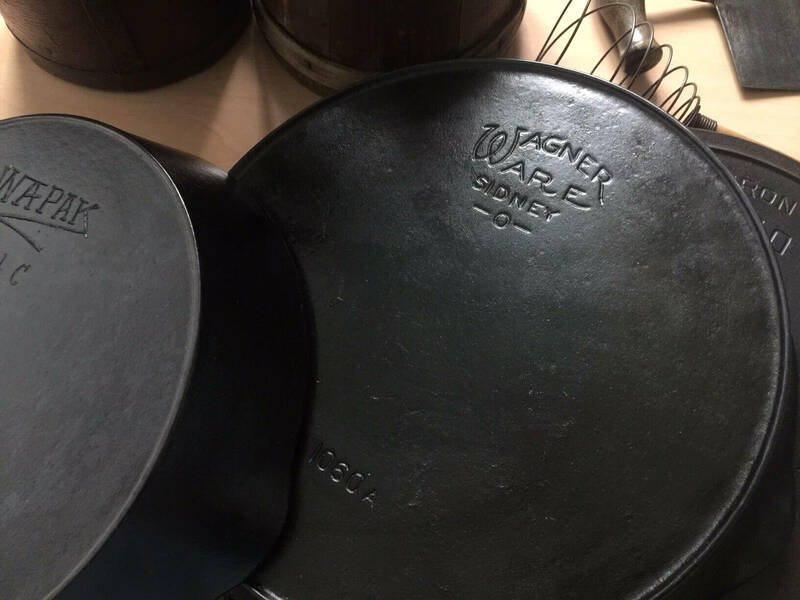 Wagner cast iron | Wagner Ware history, dates and logos. Wapak Hollow Ware Co. Find out more about Wapak cast iron. Vintage cast iron: All about the history of the Sidney Hollow Ware Co. Learn about vintage cast iron. Whether your'e a keen cast-iron enthusiast or learning about vintage cast iron, I hope you find our articles useful and interesting. However my expertise in cast iron collecting is more hobbyist rather than expert and don't claim to be an authority on the matter. Although from my life experience there are actually very few experts. That being said there are truly knowledgeable folk in the cast iron community that can instantly identify and date many unique and rare pieces of cast iron and are truly passionate about sharing their hobby. Nevertheless I'll try to make the site useful for those new to cast iron and enthusiasts alike. You'll also find many traditional recipes using new and vintage cast iron. "I hope you find collection and vintage iron as enjoyable as I do." Our little hobby site is still growing and evolving. Please feel free to explore our other articles. If you like our vintage cast iron articles then you'll may find the cast iron section interesting. We certainly love our vintage cast iron. However in the kitchen ceramic cookware totally indispensable. Collecting vintage cast iron and sharing your hobby with like minded people. Sure, I hope you stick around and enjoy all the articles at Boonie Hicks after all it really is a lot of work to maintain a site. However if you become interested in cast iron there are forums and other websites packed full of information like ours. The Cast Iron Collector is one such website. A lot of cast iron enthusiasts use it as an online resource. Although this site is also packed full of information for you to explore. However if I was to suggest another site to visit to promote cast iron collecting and cookery it would have to be the reddit cast iron page. It's a fun place to see what people are cooking in their vintage cast iron. 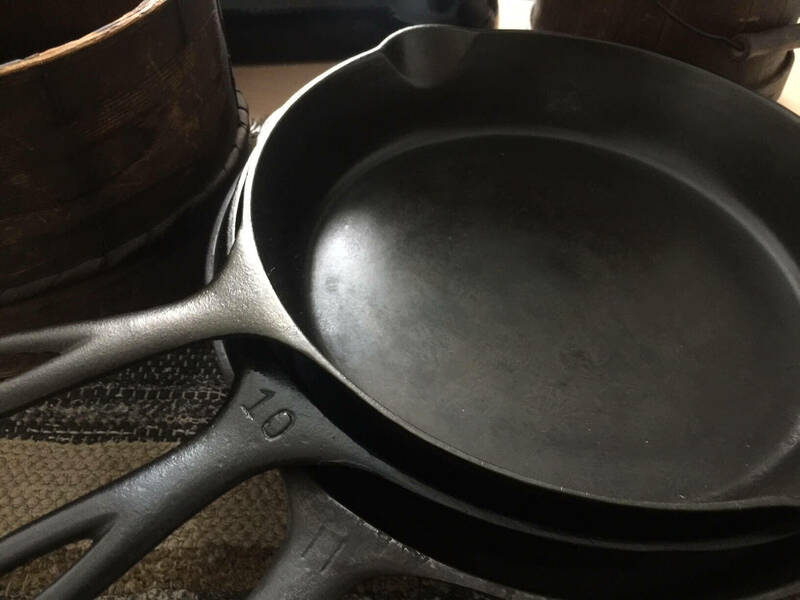 Also there are plenty of questions and answers posted on vintage cast iron. Is vintage cast iron better than new cast iron? A lot of people prefer vintage or antique cast iron. The main reasons vintage cast iron is preferred are; the cookware tends to be lighter and a lot smoother than cast iron cookware made today. 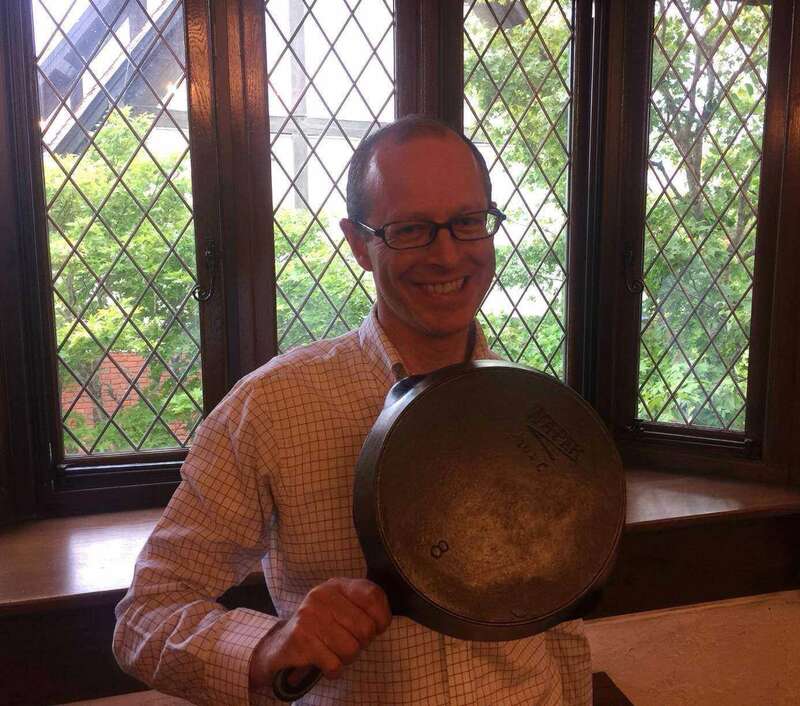 Cast iron cookware made between the late 19th and the early 20th century is preferred by collectors. During this time casting techniques and expertise were perfected. For me I love the historical and cultural heritage aspect of older cookware made during this time. However a new skillet cooks just as well and I also cook a standard Lodge 10.25 skillet which I find a lot of fun to use. Quick guide to buying antique or vintage cast iron cookware. Firstly I have to say "it's fantastic you may buy your first piece of antique cookware." Old pans are great cookers even on today's modern ranges. Griswold and Wagner take pride and place for many cast iron enthusiasts, however many other manufacturers of the also have the desired smooth cooking surface. Although Wagner and Griswold are fantastic cookware there are many great old pans out there made by different manufactures. Secondly there is no rush, because cast iron is so durable there is no shortage of cast iron cookware out there. Also some asking prices are too high. Finally check for rock or movement in the pan. Although antique cast iron is desired because it's lighter than modern cast iron cookware is comes with one drawback. Older lighter skillets may be warped or bowed. Any movement may negatively affect the price and in some cases usability. 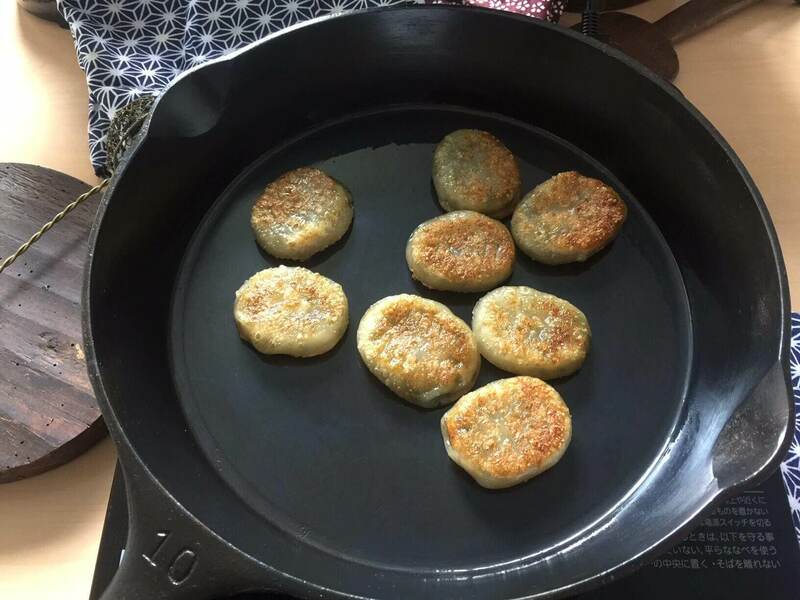 What size vintage cast iron skillet is best? Great question, sizes on antique cast-iron were numbered instead of todays imperial or metric measurements. The old numbered system was used when the most common method of cooking was on a coal or wood range. However what is the best sized skillet? It is hard to answer I like larger sizes, #10 and #11 are my favourites. These sizes have lots of room so food is not cramped and also with a bigger size you can get away with just one pan. However if you're new to cast iron cooking I'd go for a number #8. With a number #8 skillet it's great for one or two people and more importantly it's more forgiving and less prone to warping. Stay tuned recipes will be coming soon.